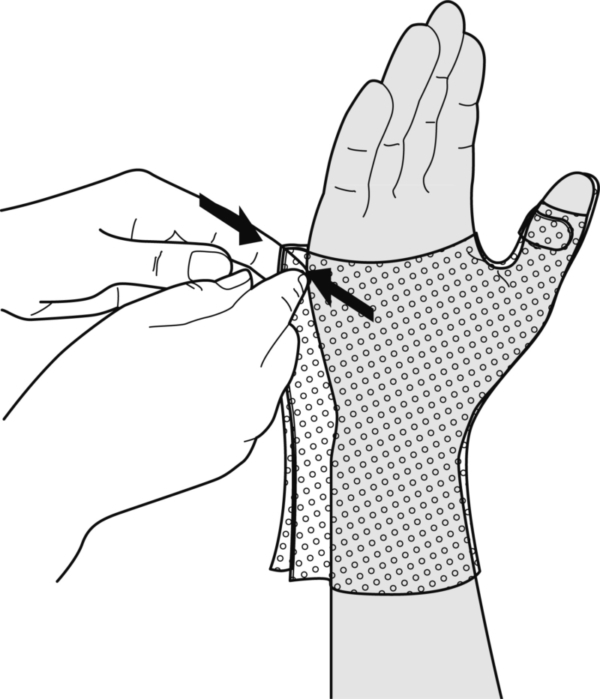 Place the pattern over the radial side of the forearm, covering the thumb completely. 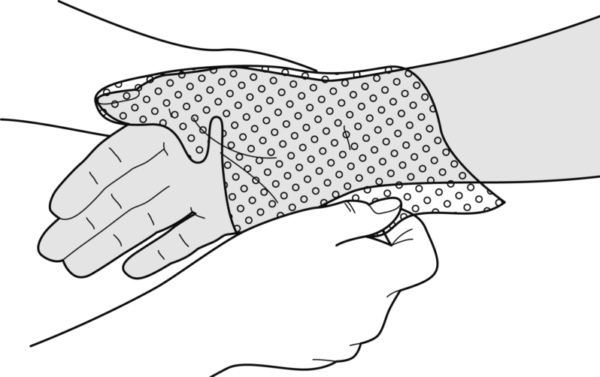 Bring the hand in a vertical position, grasp the uppermost corners and stick them together by pressing them together. 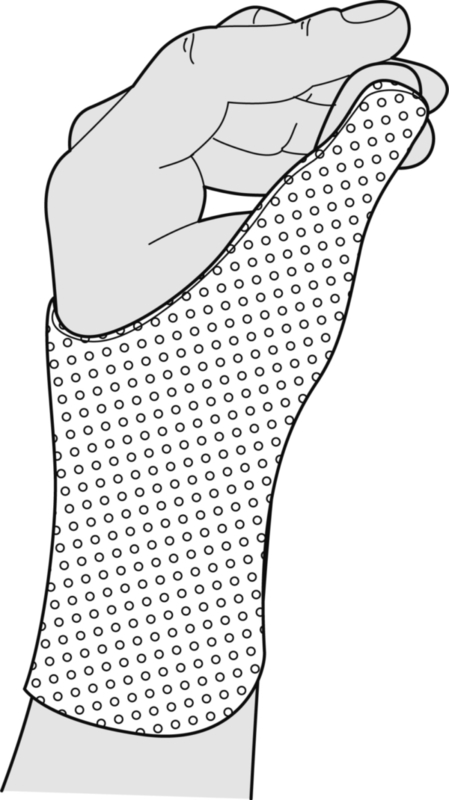 Do the same with the bottom corners, stretching out the length and width of the pattern. Position and leave to harden. 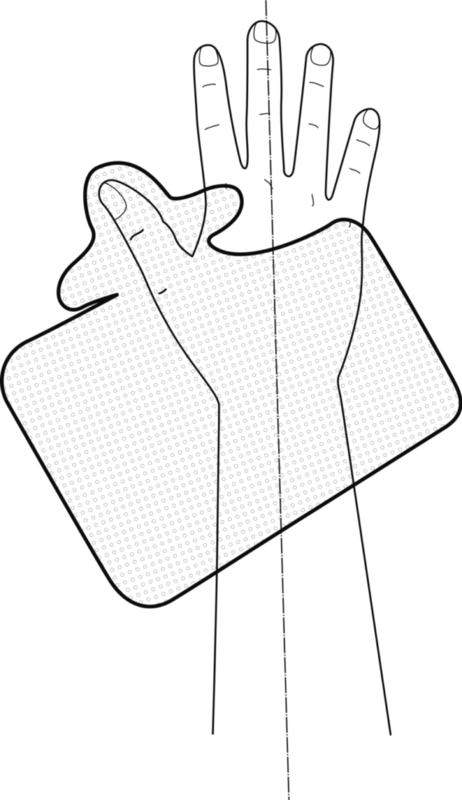 Cut off any surplus material, leave to harden further, and pull open the seam. Slightly warm the edges, bending them so that they do not press against the skin. 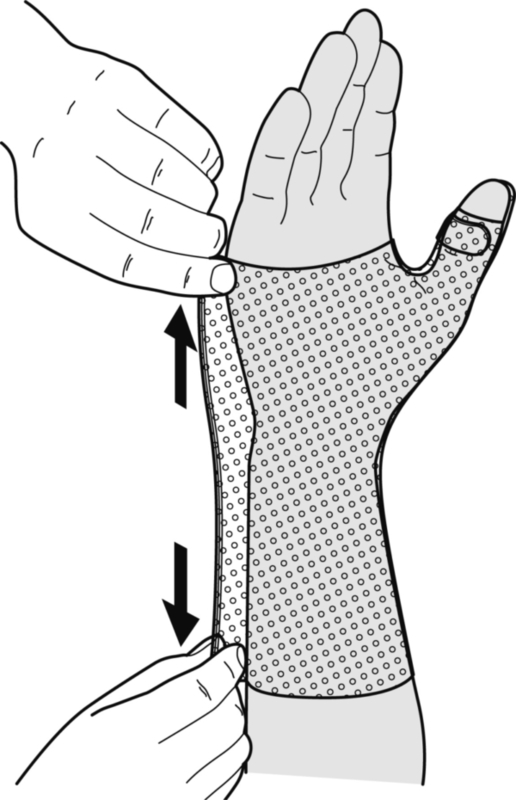 Close the splint using the 2 short straps at both ends.